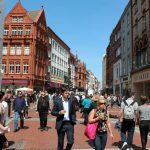 If you have finished your studies as a doctor and have already done the specialty, Ireland could be one of the most attractive destinations to work. Currently this country offers very interesting employment opportunities and the profession of doctor is one of the best paid. 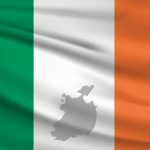 Where you can do the registration for working as a doctor in Ireland? You can make online the registration for working as a doctor in UK through GMC (General Medical Council): the request route depends on nationality, training, and professional experience. For registration, please click here. Before starting the registation, is important to have the passport number and a debit/credit card for making the tax payment. Choose the plan according to nationality, degree and professional experience. Fulfill the request form to be valued. Report online documentation according to the application. Review of documentation and decision of the Medical Council. For the application process to be carried out in an agile way, it will be necessary to present a series of documents that may take time to be received, so it is better to start the application and compilation as soon as possible. 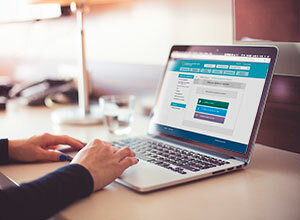 What documentation will I need to submit in order to successfully complete my registration? Internship certificate, and speciality certificate in case of having it. Certificate of good practice or Professional Status / Good Standing (not older than 3 months). Documents that prove professional experience. The General Medical Council can ask for legal translation of the requested documents or other additional information. Leave us your email and we will send you the complete information of how making the registration. Which level it is required in order to register as a doctor in the Medical Council? Applicants for Visiting EEA registration are exempt from any English language test requirement. However, the Medical Council strongly urges all applicants for whom English is not their first language to attempt the Academic International English Language Testing System (IELTS) to ensure that they have sufficient language skills to practise medicine in Ireland. If you want to know all the tests that are accepted as evidence of level of English, you can check here. The PRES: specific requirement for doctors trained outside the EU / EEA or Switzerland. Doctors trained outside the EU / EEA or Switzerland must pass the PRES (Pre-Registration Examination System). It is a test of knowledge and clinical skills on the main disciplines: Obstetrics and Gynecology, Pediatrics, Psychiatry, Surgery and Medicine / General Practice. Level 1: assessment and verification of registration documents. Level 3: assessment of medical skills. In order to carry out a correct registration, it will be necessary to choose the appropriate route to the profile of the applicant.